McAllen Mayor Jim Darling gives his victory speech to his supporters at his campaign headquarters Saturday in McAllen. McALLEN — The contrasting confidence was clear from the beginning. 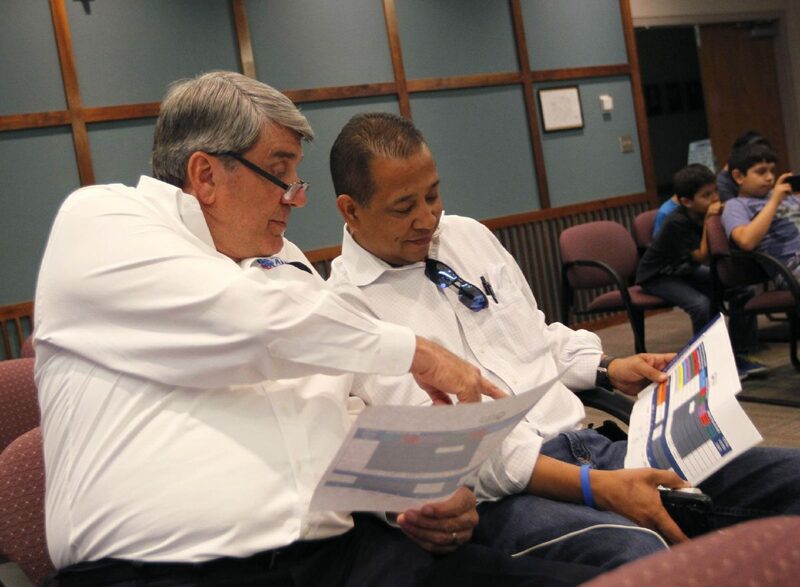 “If I’m still mayor,” McAllen Mayor Jim Darling said multiple times in the fall when discussing future city projects, though the looming election was clearly on his mind and his distaste for campaigning was well known. Meanwhile his opponent, Othal E. Brand Jr., spoke with supreme confidence from the announcement of his candidacy the day before Thanksgiving — before anyone else announced a run for mayor or city commissioner. A sitting mayor hadn’t been seriously challenged in McAllen since 2005, and an incumbent hadn’t lost here since his father, longtime Mayor Othal Brand, lost in 1997 to Leo Montalvo. But Brand firmly believed in himself. Brand said he would spend what he needed and work as hard as possible to win last week’s election, but to the surprise of many political observers, he came up far short: eventually capturing just 3,000 votes compared to Darling’s 4,400. The votes have yet to be canvassed when the 2017 election will be declared official. But a mere 7,700 of the nearly 67,000 registered voters would cast a ballot, representing a turnout of just under 11.5 percent. Darling would go on to win the early vote, all six districts in the city and would only lose the mail-in ballots: 144 to Brand’s 170. While political scientists may analyze what swayed voters in each district, Darling simply expressed surprise that he won them all, and won the election by the margin he did. One of those involved Darling’s previous bosses and those he’s friendly with. “Jim might have a billionaire behind him, but no one is going to outspend Othal,” said one of Brand’s campaign workers early in the election, referring to local businessman Alonzo Cantu who has long been an ally of the mayor. Darling used to be general counsel at Doctors Hospital at Renaissance, which Cantu helped found and for which he serves as chairman of the board. Brand doubled Darling’s campaign spending, dishing out more than $200,000 over the course of the campaign, much of it money that he lent his campaign. Proposition 1 sought to create a healthcare district that would have levied an 8-cent ad valorem tax to expand medical access to the uninsured and provide funding for the new medical school. Voters overwhelmingly shot down the measure in the November election. To the surprise of many, Darling said during the campaign that he did not support Proposition 1, although he worked hard to win legislation creating the medical school in the Rio Grande Valley. He testified in a 2015 Texas Senate committee hearing that he advocated for a healthcare district, but he later told The Monitor that he did not like the way Proposition 1 was structured so, while he didn’t support it, he did not actively oppose it. But Brand believed his message tying Darling to the healthcare district, and his other criticisms of Darling’s lack of transparency, accountability and open government, resonated during the campaign. Despite what he considered misleading attacks, however, Darling refused to strike back, saying he wanted to take the high road in the campaign, a position that often frustrated his most loyal supporters. He would be thrilled to win, Darling often said, but it wouldn’t have been the end of the world if he lost. Brand is simultaneously general manager and president of the Board of Hidalgo County Water Improvement District 3. 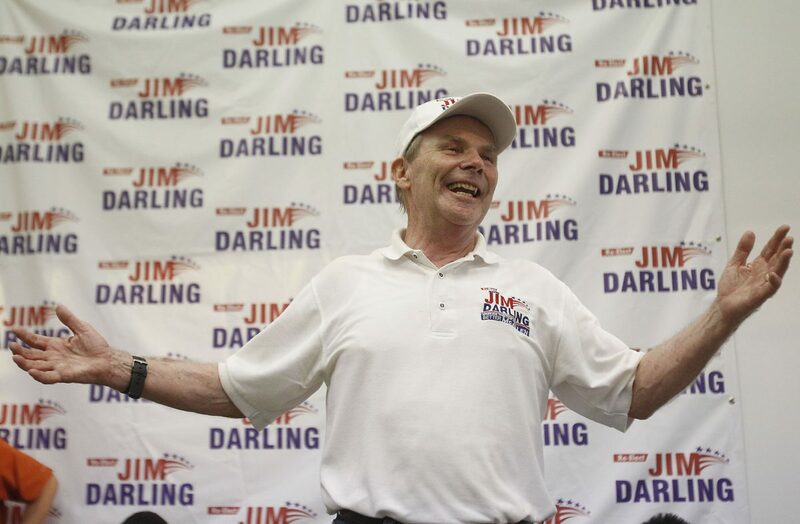 During the campaign, Darling mostly defended himself when he felt the need and mostly talked about what he believed was the positive direction of the city. But Darling is a policy wonk at heart, and his defense often seemed much drier than the criticisms that Brand was throwing at him. Following last week’s election, Brand and Darling agreed with the general assessment that many in McAllen don’t like the messiness of government and the voter turnout illustrated that. The question became how voters would react to the messiness of the campaign, which grew increasingly contentious with the help of a virtually unfiltered social media campaign that neither candidate could control. Throughout this, Brand’s confidence didn’t falter while many close to Darling wondered aloud if he was mentally preparing himself for an upset defeat. On election night last Saturday, Brand and his campaign manager, Efrain Martinez Jr., showed up at McAllen City Hall to see the early results. Darling dispatched his campaign manager, Martha Hinojosa, to City Hall while he stayed at his campaign headquarters. Once the early voting results flashed on the TV screens inside the city commission chambers, Hinojosa grinned ear to ear. Darling was up by 850 in early voting and only 1,900 ballots were cast on election day. Brand and Martinez did their best to mute their emotions. Brand said he still believes in his message, but perhaps it did not reach the people in the ways he had hoped. Darling relied heavily on his institutional knowledge of the city after nearly 40 years of being involved as longtime city attorney, two-time city commissioner and his first term as mayor. He also relied on his humor, which didn’t always resonate positively with audiences during the campaign. “I was told not to joke these last two weeks,” Darling said at a meeting leading up to election day. And the days before the election, he was visibly concerned about how he would fare, though he slightly downplayed that days after the election. As for Brand, he said he’s fine with the results. Brand leaned back in his chair and smiled.